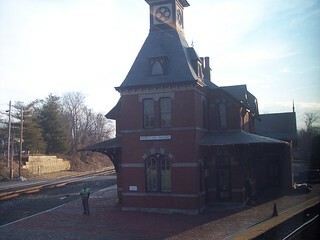 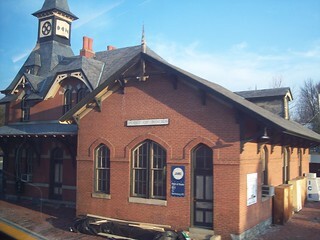 The ornate old station building at Point of Rocks. 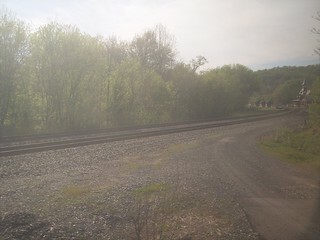 The lines diverge here with the tracks on the left heading toward Baltimore. 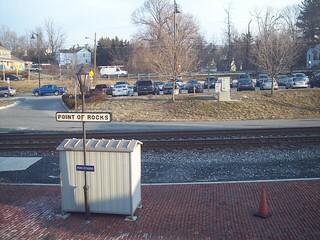 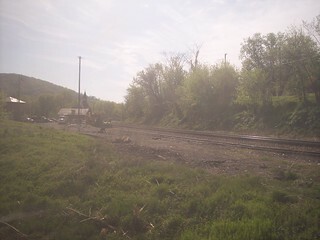 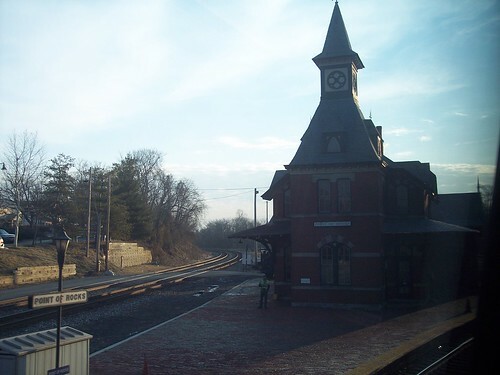 The Point of Rocks station can be seen in the distance as we make the turn to head toward Frederick.